A strong organizational culture is often sparked by great leaders with the ability to articulate purpose into a vision and mission which are then shared throughout the entire organization. Ray Anderson is considered one of the pioneers in the corporate shift towards sustainability. As the founder of Interface, a sustainability frontrunner in the carpet industry with annual net sales of almost $1 billion, he set the course for creating a company that not only delivers economic value but also creates social and environmental value. From the beginning, Anderson listened to the employees and put emphasis on connecting them to the business. Starting the journey of sustainability with Mission Zero and its ambitious target of having zero environmental impact by 2020, the company has now started to work on an even more ambitious mission to become regenerative. This initiative has been called Climate Take Back. Based upon this new mission, the organization required new goals, targets and ways to engage employees. In order to do so, Interface has institutionalized the culture that has been originally initiated by Anderson across its workforce. The main tools applied are storytelling, informal trainings, and an in-house learning system. Performance evaluations of employees include a review of performance related to both the business and sustainability objectives of the company. Based upon the responses of the questions on management practices, the tool links culture to performance measures such as growth, profitability, quality, innovation and customer and employee satisfaction. In most companies, the challenge for senior management is to find and maintain the correct balance between the four traits to foster long-term performance within their company. 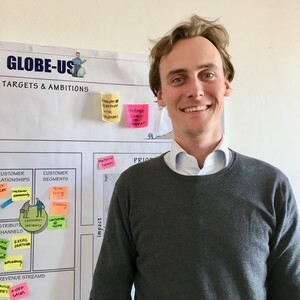 The four traits link with sustainability through a meaningful long-term direction: purpose (mission and consistency), listening to the trends in the market place (adaptability) and the engagement of employees (involvement). The development and successful implementation of corporate sustainability strategies require leadership capabilities that are typical when leading major change processes. Successful sustainability leaders, such as Ray Anderson have succeeded in bringing about this cultural change that is required for the development and implementation of effective sustainability strategies. 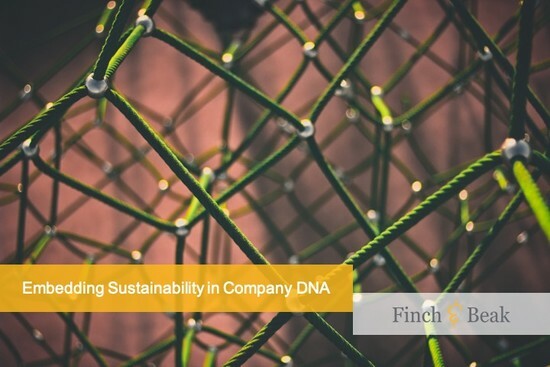 Need help in measuring your company’s culture of sustainability? In case you are ready to start measuring the state of culture in your own company, Finch and Beak can help you. Our approach, which is based upon the Denison Model, helps companies focus on what matters most and leaves time and budget available to create transformative change and impact. Contact Lars Gielen, Consultant at Finch & Beak, at lars@finchandbeak.com to find out more!